Weekends deserve dresses like this. 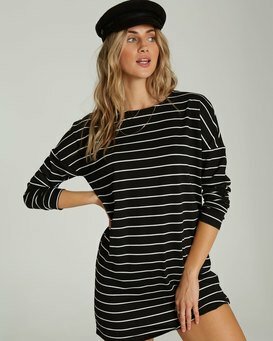 Laid-back but always ready to go out, the versatile long sleeve t-shirt dress is made from lightweight terry cloth for an ultra comfortable feel. Maja is wearing Black in a size M.